Facebook has truly become a necessary evil. The only reason I say “evil” is because you have to pay to play. Plus, they’re constantly changing something. Take for instance their most recent change, the layout. The beauty of this change is it’s actually better for your shop. You get the whole cover photo space all to yourself! They’ve moved your “logo” image to the left of the cover photo and all other tabs are listed underneath. Plus, your call-to-action button is big and blue. It can’t be missed. 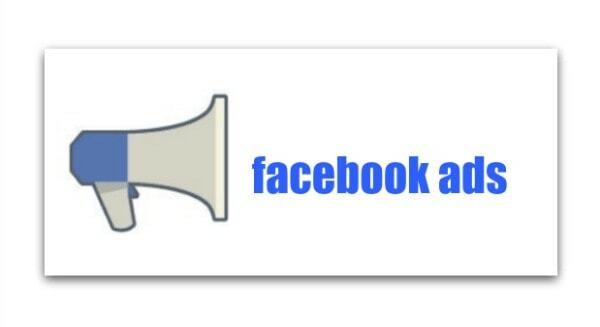 One thing that hasn’t changed (at least for the moment) is how to place Facebook ads. Don’t let this seemingly overwhelming process keep you from using them this holiday season. The key to Facebook ads is walking through every step making sure you’re taking advantage of all the possibilities. There are a lot of them too, but don’t let that keep you from being creative. This is where all of those overwhelming choices begin. Determine the purpose of why you’re running an ad. What’s the objective of the campaign you’re creating? Choose anything from promoting your Facebook page to getting people to claim a coupon or a one-time offer. Let’s say, for the purpose of this post, you’ve decided to create a special offer that you would like shoppers to take advantage of. If you plan on running several ads over time that offer a special coupon or discount, you’ll want to give this campaign a very specific name. For instance, if you’re offering a special deal for Shop Small Saturday, call it by that name. Consider adding the date too if you plan to run the offer every year. This is especially important when you begin to compare the results of ads over time. Just prior to creating your offer, you’ll want to list your shop’s Facebook page and consider choosing a “Conversion.” A “conversion pixel” is code that’s added to your website to track visitors who take advantage of your special offer. These are used when you want to drive traffic to your website. They help you determine your Return On Investment (ROI) for your ad. I continuously run ads for SimpleConsign’s 15-day free trial where I send people to that page on our website. The pixel helps me see if the ad is effective. Facebook offers full instructions here. Facebook has some definite rules about offers. Clearly state the terms of your offer and any limitations, plus follow local and state laws. Also, your offer is required to have an end date. When shoppers click on your offer, send them to your website to shop if you have an e-commerce site or give them more details. You can create an offer with a percent off, an amount off, a buy one/get one or even offer something free. In my opinion, creativity begins here. As you can see, there are any number of options to choose from. A Custom Audience includes those customers you already know. Click “Create New” and choose “Custom Audience.” You can easily add your current email list to a “Customer File” that you’ve saved as a CSV. There are a number of options, including creating a “Lookalike Audience” that mirrors your customer list or Facebook page visitors. Next, choose your location. The map allows you to drop a pin on the exact city, neighborhood or even street where your shop is located. Select the age, gender and language of the shoppers you want to reach. Those factors will be determined by the type of merchandise you sell. Detailed targeting lets you choose consumers with certain interests and behaviors. For instance, you can choose people with specific interests like “consignment,” “furniture” or “children’s clothing.” Just begin typing and see what suggestions Facebook gives you. You can even exclude shoppers with certain characteristics. The possibilities for reaching your market are endless and downright creepy if you really think about it. Below this is “Placements.” All of the possibilities are pre-checked for you. The only reason you would want to un-check placing your ad in a specific location is if you were narrowing your offer for mobile users only. As you choose interests, demographics and other categories, you will see the estimated daily reach of Facebook users change on the right. Ah yes, the age-old question. “How much should I spend?” Experts say approximately 15 – 20% of your overall marketing budget should be spent on social media. If you have $500 to spend the week leading up to Black Friday, spend $75 – $100 on social. For SimpleConsign’s 15-day free trial, I change the graphics, the demographics of the audience and sometimes the location. Depending on my message, I’ve spent anywhere from a few pennies to several dollars to gain 1 website visitor. Over time, you can see which ads were the most successful. You can choose your ads to run for a specific length of time or continuously. The dates will be determined by the message of your ad. If you’re offering a limited coupon, you obviously need to designate a specific time frame. Facebook will help you maximize your reach even farther by helping you schedule the delivery of your ad. Make sure at the end of the process, you have completely reviewed your ad offer and the amount you’re spending. If you place the ad and then realize you have made a mistake, you can go to “Manage Ads” and turn the ad off without any consequences. So, that wasn’t so bad was it? Facebook ads are the perfect way to get the word out about your shop to a totally new audience that’s just waiting to find out about you. Once you start getting responses to your ads, be sure to reply to every comment. Read 3 steps to add a little Facebook TLC to find out how to stay in touch with your audience. Happy advertising!